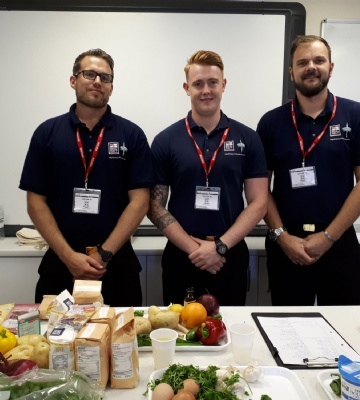 Last week, three Navy officers came to the College to take part in a Royal Navy Careers and Food Event. 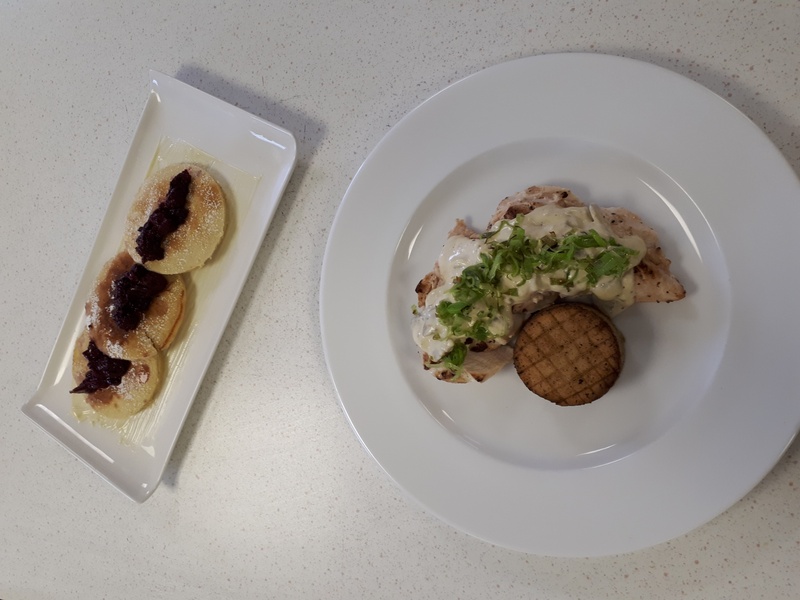 Year 12 student, Austin Chu gives us an overview of the food event. 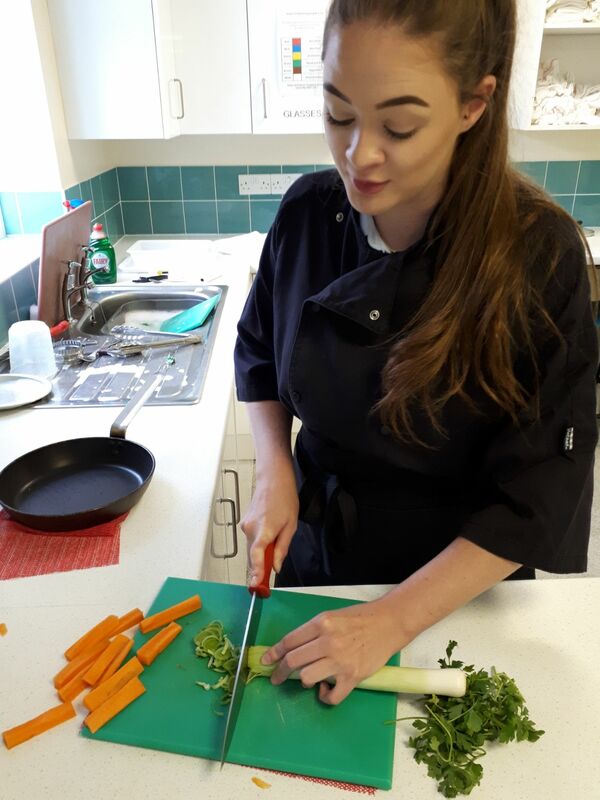 “The lesson with the chefs from the Royal Navy really made me think about how I should use my time wisely under pressure. 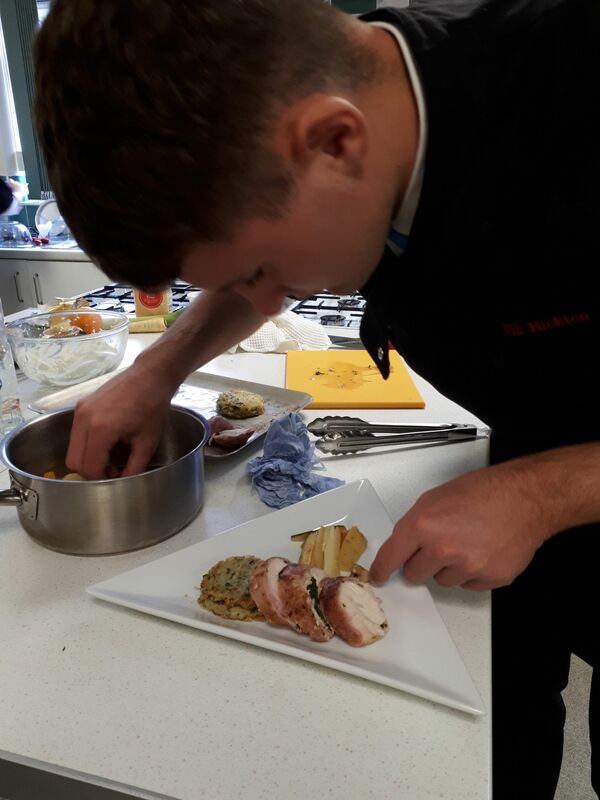 We were asked to produce two courses within the time given, which was not long at all for us to plan, cook and present the food, when we did not even know which ingredients we would be using! We researched on the internet to see which recipes were possible to make within the given time, and considered how complex the preparation techniques were as well. After deciding on the recipes, we split up into two teams, one making the main course and the other making the dessert. We divided the ingredients and organised our equipment. 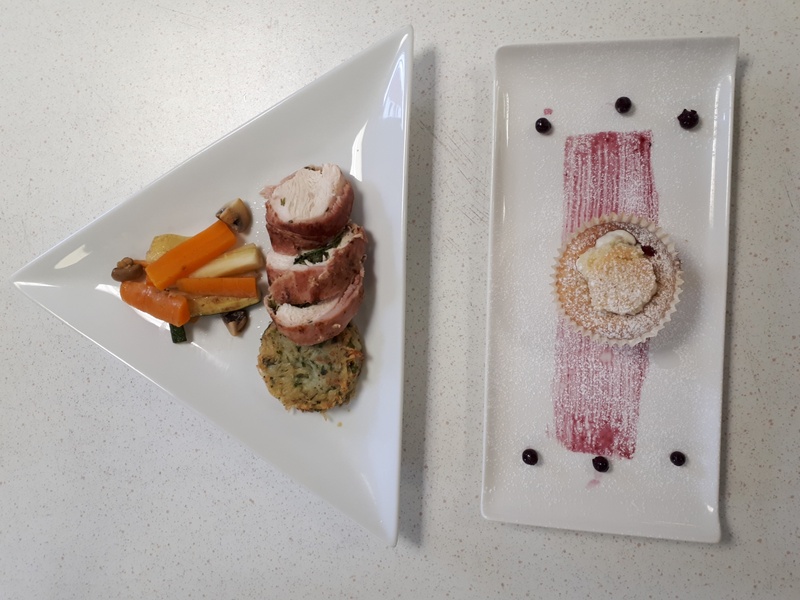 The chefs reminded us that the presentation of the food is very important, as people usually look at the appearance of the food before they even eat it, so we knew a strong finish was needed. 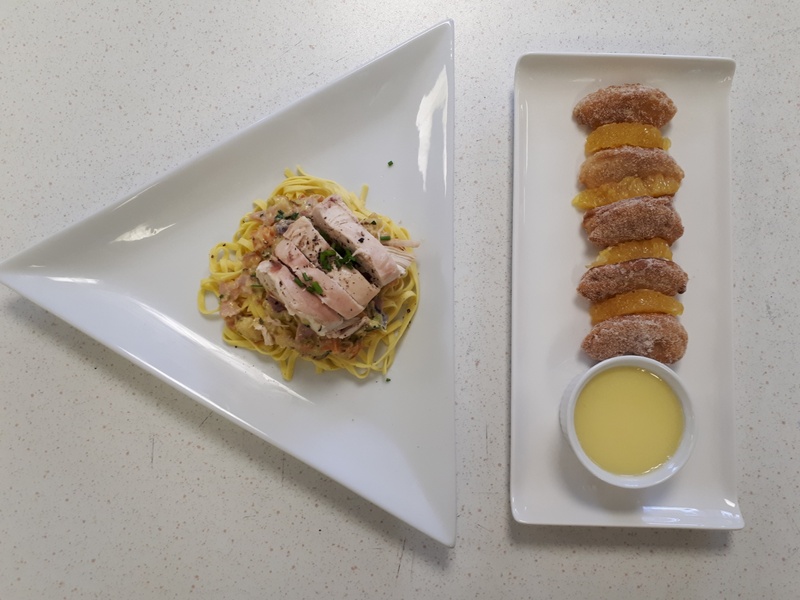 I have learnt about the chef’s roles in the Royal Navy, and what would happen if they are overseas and the chefs do not receive the ingredients ordered because of the culture difference and also what the benefits are of being a member of the Royal Navy catering team.